Definition at line 2298 of file CCopasiXMLParser.h. Definition at line 2306 of file CCopasiXMLParser.h. Definition at line 8825 of file CCopasiXMLParser.cpp. Definition at line 8834 of file CCopasiXMLParser.cpp. Definition at line 8910 of file CCopasiXMLParser.cpp. References CCopasiMessage::EXCEPTION, CCopasiParameter::getKey(), CCopasiObject::getObjectName(), CCopasiParameter::getType(), CCopasiTask::getType(), CCopasiParameter::KEY, CCopasiXMLParser::mCommon, MCXML, CExpatTemplate< CExpat >::mParser, CCopasiTask::parameterFitting, SCopasiXMLParserCommon::ParameterGroupStack, SCopasiXMLParserCommon::pCurrentParameter, SCopasiXMLParserCommon::pCurrentTask, pdelete, START_ELEMENT, UNKNOWN_ELEMENT, and SCopasiXMLParserCommon::UnmappedKeyParameters. 8942 // since they are handled by the elevation of the problem to CFitProblem. 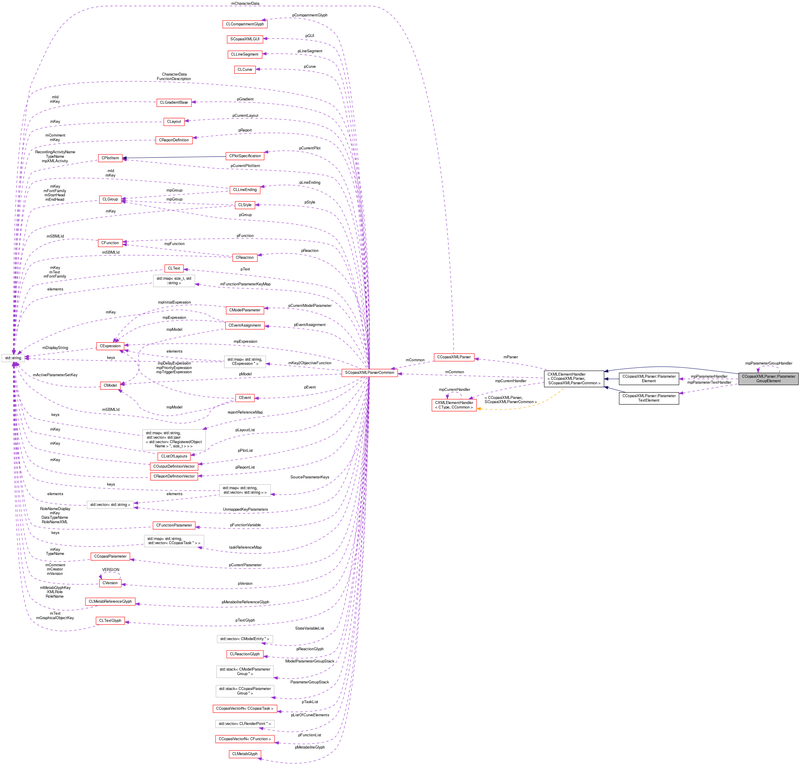 Definition at line 9002 of file CCopasiXMLParser.cpp. Definition at line 8841 of file CCopasiXMLParser.cpp. 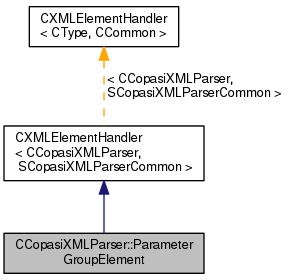 References CCopasiXMLParser::mCommon, CExpatTemplate< CExpat >::mParser, SCopasiXMLParserCommon::ParameterGroupStack, and UNKNOWN_ELEMENT. Definition at line 2316 of file CCopasiXMLParser.h. Definition at line 2314 of file CCopasiXMLParser.h. Definition at line 2312 of file CCopasiXMLParser.h. Definition at line 2313 of file CCopasiXMLParser.h.